I was trying to get some ideas for treats for my daughter’s Fall Class Party. 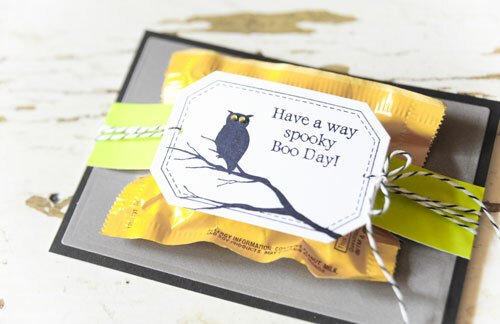 I wanted to use my new stamp set Creepy Hollow from A Muse Studio and I came across this from the A Muse Studio artists and just had to share it with you. It is a simple, small project and fun to do. I also thought that it would be great to attach my business card to the back. I could give out this little treat as my business card during this Halloween season. I have gotten several new Halloween sets that I hope to share with you in the next coming weeks. Most of them have been from the new holiday catalog. If you haven’t gotten yours yet just let me know. They are FREE (unless I have to mail it to you, then it is $3 for shipping only). Call or email me ASAP! I’m making treat boxes for my kids’ teachers. To make it easier, I used die cut treat boxes. All you have to do is stamp them, fold on the scored lines and tuck or tape the edges together. You can find them at your local craft or scrapbooking/rubber stamping store. The snowman image is from The Angel Company’s Happy Winter that is on sale right now at a special price of $16.50 from December 1st through December 31st. There are 3 sets in the “Whimsical, Wintry Vintage Sets” promotion. They are all adorable. Don’t miss out on your chance to own them yourself. Email or call with your order today. I finally finished my personal Christmas cards today. With all that is going on this time of year I needed something simple and easy. 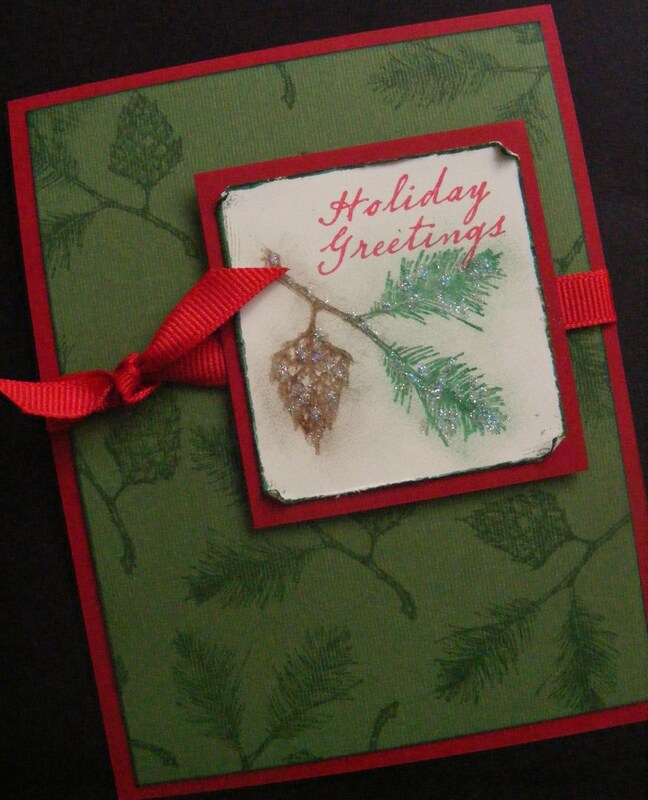 My inspiration for this card was from a dear friend and fabulous artist, Lesley Retherford. She sent a card like this to me 2 Christmases ago using Stampin’ Up! products. I wanted to post the original card also, but I’ve searched and searched my card storages and cannot find it. 😦 It is very easy to make. 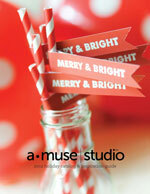 I used a piece of patterned cardstock and a coordinating tag from Merry Wishes by The Angel Company. I cut a piece of scrapbook paper to 4 x 5-1/4 inches, wrapped ribbon around it to look like a bow on a gift package and added a designed tag. I adhered the layer to a Scarlet cardstock card base. You should really try this quick and easy card. When you purchase $30.00 in merchandise, Cheers can be yours for a special price! It is the perfect set for all your gift tag needs. MORE: Its’ time to get the “Christmas Stamp-A-Stack” on the calendar. The only way to get those Christmas cards done is to schedule it. So, on November 10th (at my home) from 12 noon to 8 PM you will create 20 Christmas/Holiday cards, enjoy a yummy meal and catch up with new and old friends. This will be an open house style event, so you can come any time during those 8 hours. The cost for 20 cards and the meal is $30.00. You must register by October 27. To register, send an email to kandy@kandyskeepsakes.com stating your request. I can email a Paypal invoice or you can register by mail with a check.